Fractures of right and left femurs. 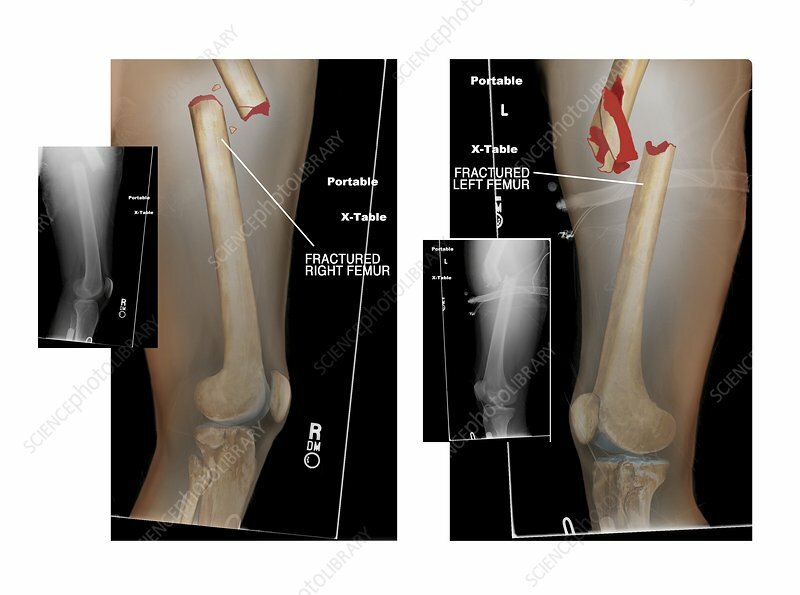 Labelled artworks combined with lateral (side view) X-rays of fractures of a patient's right femur (left) and left femur (right). As both femurs are broken, this is referred to as bilateral femoral fractures and are an example of multiple traumatic injuries (polytrauma). These are severe injuries, requiring surgery to reset and pin the femurs with rods, plates and screws. The original (non-coloured) X-rays are shown as insets beside the main diagrams.